55000 LEGO Universe, also called LEGO Universe: A Massively Multiplayer Online Game, was a LEGO video game that was released in a Massive Multiplayer Online Game (MMOG) format and developed by Netdevil. It was initially scheduled to be released in 2009, but the LEGO Group pushed its publication date to October 26, 2010, due to a redesign forced by the lack of popularity of the game by internal testers. LEGO Universe featured customizable LEGO Minifigures as the controllable characters and LEGO environments as the surroundings. Players were able to build their own objects or vehicles, and display them in the game. LEGO Universe, also known as "LU" by players, launched a Free to Play version in the summer of 2011. It allowed players to download and play through the first two worlds of the game, Venture Explorer and Avant Gardens, for absolutely no cost and no time restrictions. The free trial allowed players to try the game (without some of the benefits, including chatting), and purchase it whenever they felt like (to get the full experience). Low sales was the reason for the formation of a free trial. LEGO Universe was closed on January 30, 2012, after failing to meet sales expectations. The game had already incorporated a Ninjago theme, and was planning to undergo an update featuring the Kingdoms theme. However, this content was never seen in-game. Development and production of the game began around 2007. It was chosen by LEGO to be created through the collaboration of NetDevil, an MMOG (Massively Multiplayer Online Game) development team, and the LEGO Group. The game would be the next big step in LEGO gaming, as it would allow countless people, by the thousands, to interact with each other simultaneously in one game. This would also be LEGO's first MMOG. The game allowed players to create their own Minifigures and control them with the mouse, touchpad, and/or keyboard. These minifigures could build creations in three ways: Quick Building, where a minifigure can quickly build a pre-determined model; Modular Building, where a minifigure can build a model by using different pre-built pieces of it (the pieces have different variations, which allows for many different combinations); and Free Building, where minifigures can use thousands of bricks to create whatever they like. However, Free Building is only allowed on designated properties. The worlds in the game are always evolving, through both monthly patches (updates) and the players' creations. One of the biggest missions for the LEGO Group in this game was to create a safe environment for children, due to LEGO having a large target audience of children. The game allowed players to create, build, quest and socialize together in a safe environment. Using state-of-the-art technologies, chat filters strain out certain profane words and only let words in the game's dictionary through. The game had been through an Alpha stage of testing by the employees of LEGO, their families, and the LEGO Kid's Inner Circle. These testers had to sign a Declaration of Secrecy to play it, which meant they could not reveal any information about it other than say they were testing it. The game has endured many scraps and countless revisions during closed-BETA testing as well. During the course of production, the LEGO Universe Website has been updated with challenges in the Creation Lab, videos, pictures, news updates, and safety information. There are many different sections of the creation lab, which is still running after LEGO Universe's closure. There has also been a promotion on the website in the form of LEGO Pods landing on Earth at LEGO Retail Stores. The Bradford Rant Institute of Cosmis Kinesis' (B.R.I.C.K.) website is dedicated to the LEGO pods, which contain information about the minifigures from LEGO Universe. The website contains several screenshots from the game and a "message" from the minifigures in LEGO Universe. All 7 pods have landed and they contain letters of a message from the minifigures, which has been "deciphered" to mean: "Answer the call to save imagination." This has evolved into 20 minigames on the LEGO Universe LEGO.com site called "The Great Minifig Mission. ", which revealed story items about the game. The game was officially launched on October 26, 2010 with early access available for those who pre-ordered the game on October 12th, 2010. However, this date was changed to 8th a week before it was ready for founders launch. The pre-order item number 2855133 was changed to 55000. It was announced on November 4th, 2011 that it would be shut down on January 31st, 2012 due to an unsatisfactory revenue model in their target group. This date was later changed to January 30th, 2012. The game originally was scheduled to be released in 2009, but official release was delayed until 2010. In a LEGO Club Magazine, a code for access to an exclusive LEGO Club world was given away; however, the game code was incorrect and an apology was added in the next issue. The game was originally priced at $39.99, but was reduced to $19.99 due to low sales, then later reduced even further to $9.99. Shortly thereafter, the disc method was replaced with a free download of the patcher for the game. 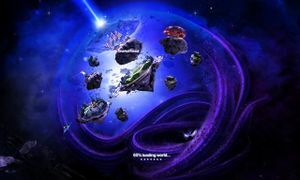 On March 25th, 2011, The LEGO Group gave out 10,000 free copies of the game with the Spring 2011 catalogue to VIP members who didn't yet have LEGO Universe. The game was closed on January 30, 2012. Near the end of the game, many random items and enemies were spawned by moderators such as medusas, horses, and Maelstrom ninjas, Uber Hammmers, and jetpacks. 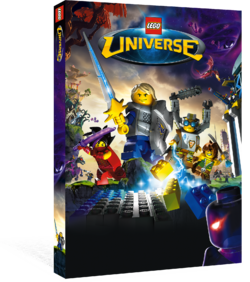 The game was released as a DVD, and also as a download from the LEGO Universe Official Website. The cost of the game was based on a subscription model. The packages are US $9.99 for 1 month, $49.99 for 6 months ($8.35 per month), and $89.99 for 12 months ($7.50 per month). The North American release date was October 26, the European release date was October 22 with early access on October 8 for "pioneers", or "Founders", those had who pre-ordered the game. Those who pre-ordered the game also received an exclusive astronaut minifigure and an astronaut costume in-game. Pre-Ordering ended on September 27 for North America and on September 23 for Europe. 2853944 Astronaut (see also Nexus Force Astronaut), which was given out to those who pre-ordered the game in October. The polybagged set included a card with a code that would enable the astronaut uniform in the game itself. 55001 Universe Rocket, which was also given out in October. This set contained a code card which enabled the rocket in the game too. During the beta testing and live release of the game, contests were also held with rare and valuable prizes. As well as regular weekly competitions, the Nexus Championships was scheduled to be a lengthy contest in which all LEGO universe members, both free to play and subscription, could participate. Unreleased Ninjago armor concept art. Facts about "55000 LEGO Universe"
This page was last edited on 13 December 2016, at 22:04.